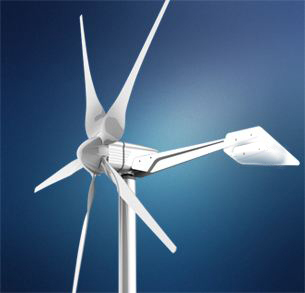 Wind power generation is one of the important applications of neodymium magnets. At present, the installed capacity of wind power in the world has exceeded 200 million kWh. However, due to excessive expansion and the sharp rise in rare earth raw materials and other factors, the overcapacity of wind power equipment is 260%. The working environment of wind turbines is very bad. They must be able to withstand the test of high temperature, severe cold, sand, humidity, and even salt fog. The design life of wind turbines is usually 20 years. At present, sintered Nd-Fe-B permanent magnets are used in both small wind turbines and megawatt permanent magnet wind turbines. Therefore, it is very important to select the magnetic parameters of neodymium permanent magnets and to require the corrosion resistance of magnets. The two main generators in the world today are doubly-fed generators and direct-drive generators. Generator cost accounts for 7% of the total unit in doubly-fed generator set, while 31.5% in direct-drive generator set. Neodymium permanent magnet is known as the third generation rare earth permanent magnet, which has the highest magnetic properties so far. The main phase of sintered Nd2Fe14B alloy is intermetallic compound Nd2Fe14B, and its saturated magnetic polarization (Js) is 1.6T < 1 >. Because sintered Nd2Fe14B permanent magnet alloy is composed of main phase Nd2Fe14B and grain boundary phase, and the grain orientation of Nd2Fe14B is limited by technological conditions, the maximum remanence of the magnet can reach 1.5T at present. Vacuum Schmelze GmbH produces NdFeB magnets with a maximum magnetic energy product (BH) max of 57 MGOe. When designing permanent magnet motors, high-grade NdFeB is often chosen to obtain high air gap magnetic density. When the motor is running, neodymium magnets with high coercivity are required because of the existence of alternating demagnetizing field and the demagnetizing effect of instantaneous high current when the load suddenly changes. Wind turbines work in the wilderness, withstanding the test of heat and cold; at the same time, motor losses also lead to motor temperature rise. Sintered NdFeB magnets can work at 120 C.
The Curie temperature of Nd-Fe-B permanent magnet alloy is about 310 C. When the temperature of the magnet exceeds Curie point, it changes from ferromagnetism to paramagnetism. Under Curie temperature, the remanence of Nd-Fe-B decreases with the increase of temperature, and its remanence temperature coefficient (Br) is -0.095-0.105%/. The coercivity of Nd-Fe-B decreases with the increase of temperature, and the coercivity temperature coefficient beta (jHc) is -0.54-0.64%. If the appropriate coercivity is selected, the magnet will still have high enough coercivity at the highest operating temperature of the motor design; otherwise, loss of excitation will occur. A large permanent magnet wind turbine usually uses thousands of neodymium magnets. Each pole of the rotor consists of many magnets. The consistency of the magnetic poles of the rotor requires the consistency of the magnets, including the consistency of size tolerance and magnetic properties. The so-called consistency of magnetic properties includes that the deviation of magnetic properties between different individuals should be small and that the magnetic properties of a single magnet should be uniform. NdFeB alloys contain active rare earth elements, which are easy to oxidize and rust. In application, Nd-Fe-B should be treated as surface corrosion protection unless Nd-Fe-B is encapsulated and isolated from air and water. Common anticorrosive coatings are nickel plating, zinc plating, and electrophoretic epoxy resin. Surface phosphating treatment can prevent NdFeB from rusting in a relatively dry environment for a short time. Rare earth intermetallics can react with hydrogen under certain pressure and temperature. When NdFeB absorbs hydrogen, it emits heat and breaks up. Hydrogen breakage in Nd-Fe-B production process takes advantage of this characteristic. The design life of the wind power generator is 20 years, that is to say, magnetic steel is required to be used for 20 years. 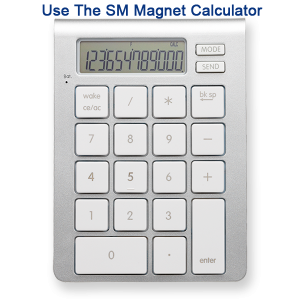 Its magnetic properties are not obviously attenuated and there is no obvious corrosion of magnetic steel.